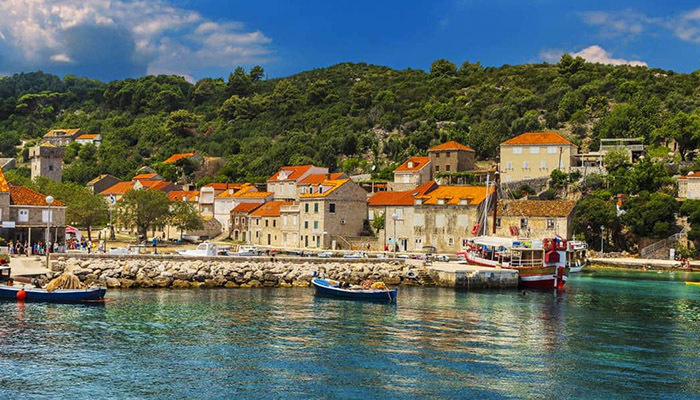 Island hopping is a great way to explore the beautiful islands of the Dubrovnik archipelago and experience the real Mediterranean island life. The Elafiti island group lies northwest of Dubrovnik and consists of six islands and dozens of small islets. The three most popular islands to visit are Kolocep, Lopud and Sipan. 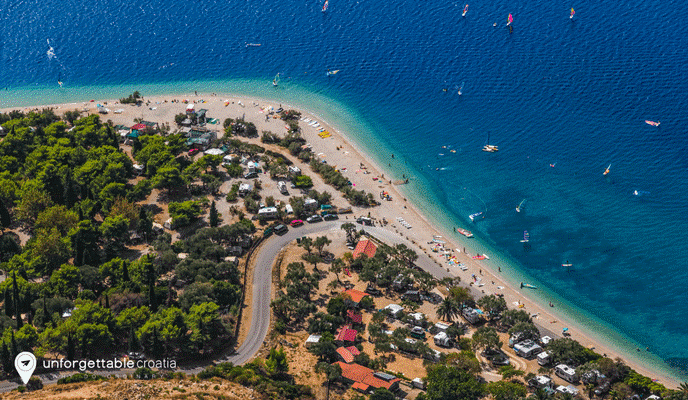 No cars are allowed on Kolocep and Lopud, making them an excellent place to relax and enjoy some quiet time. There are less than one thousand people in total living on the three main Elafiti islands, so you can imagine how quiet and small they are. In the past, the elite of Dubrovnik built their summer houses on the Elafiti islands, to escape the hustle and bustle of life in Dubrovnik. We can totally understand why they choose these beautiful islands and you will too, once you have visited them. 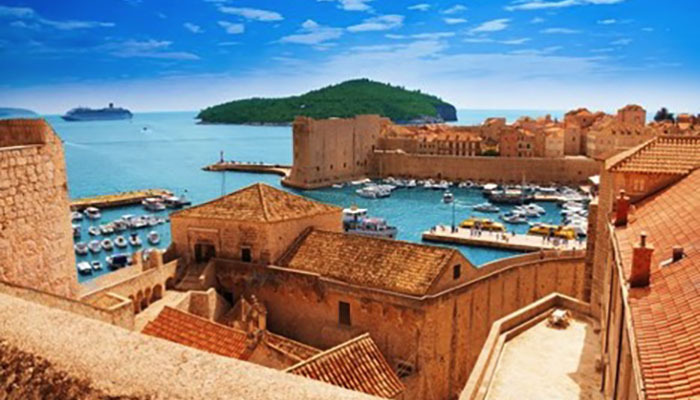 Most island cruises start in Dubrovnik so, if you arrive there on time before your cruise, you will have a chance to visit this wonderful city as well, something we highly recommend. 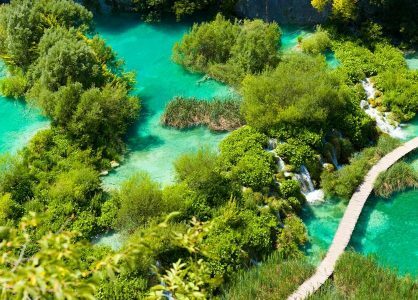 One of only three inhabited islands, Kolocep is only about 20 minutes away from Dubrovnik but it is a completely different world. There are two towns on Kolocep; Gornje Celo and Donje Celo. The towns lie 3km apart from each other and are connected by a lovely promenade. The island is covered with thick pine forests, olive groves and vineyards, and you can find dozens of hidden coves all along the shore, with lovely pebble and rocky beaches and there is even a sandy beach. There are plenty of interesting hiking a cycling paths that reveal ruins of old churches and other ancient monuments. This car free island is home to just one town, the town of Lopud, which is located on the far side of the island, towards the island of Sipan. The 15th century Franciscan monastery in Lopud has a church that is still in use. A small path leads from Lopud to a gorgeous sandy beach on the other side of the island, it takes about 20 minutes to get there on foot. This beach, called Sunj, is a natural sandy beach with a shallow sea that is perfect for young children. There are several other nice paths on the island as well, that will allow you to explore its natural beauty, the many citrus groves, olive groves and vineyards. You will also find the ruins of churches, chapels, monasteries, palaces, summer houses and other monuments over the entire island. Many of these ruins date back to Greek and Roman times. Sipan is the largest of the Elafiti islands and you can find two lovely villages there, one on either side of the island; Sipanska Luka and Sudjuradj. Even though this island does allow cars, it is still much quieter here than on the mainland. There is not much accommodation for tourists on Sipan, so most visitors arrive by boat to explore the island for just a few hours. On Sipan too you can find the ruins of numerous Roman villas, churches, a monastery and lots of summer houses that were built on the island from the 15th century by rich citizens of Dubrovnik. A bicycle sightseeing tour is a great way to explore Sipan and will allow you to make several stops on the way to swim, relax and enjoy the amazing views. Make sure to stop in at least one of the two towns on the island for a taste of the original, Dalmatian island life. 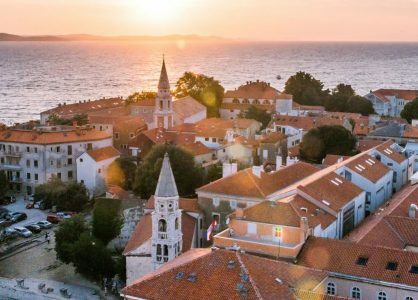 Korcula is just as beautiful as the islands of the Elafiti archipelago, but what makes Korcula unique is its rich offer of ancient ceremonies, that include folk music and dancing. Korcula is famous for its excellent wines so you will understand that wine tours and wine tastings are a popular activity on Korcula. 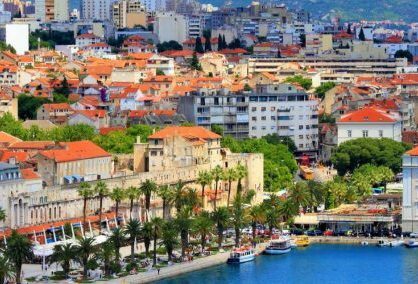 The town of Korcula is a picturesque place, a wonderful town with beautiful stone houses and marble streets. Add some beautiful beaches within walking distance and you will never want to leave this fairy-tale place. 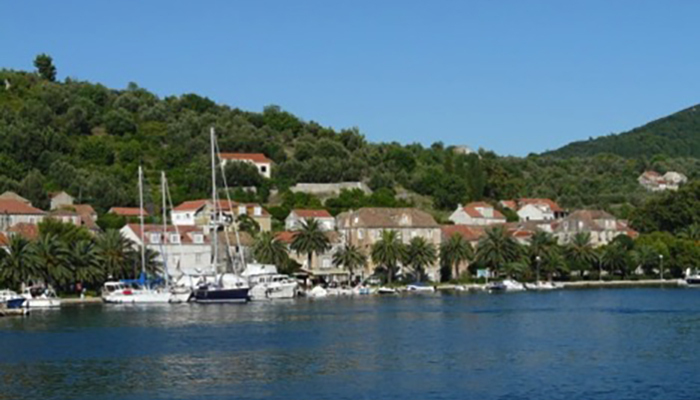 Last but not least on our list of islands to visit near Dubrovnik is the island of Mljet. 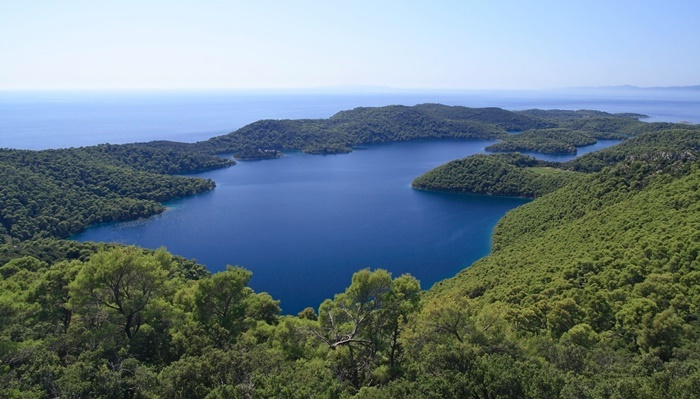 Home to National Park Mljet, this island is so breathtakingly beautiful that it is almost impossible to describe. Think dense forests, green fields, picturesque little villages and amazing beaches. You may have already heard about the saltwater lakes in National Park Mljet, with a small island (that you can visit by boat) in the middle of one of the lakes. Another sight not to miss on Mljet island is Saplunara beach, one of the most beautiful beaches in Croatia. This sandy beach lies in an isolated lagoon and is largely untouched. The warm and shallow sea is great for young children and there is plenty of natural shade from the dense forest right behind the beach. 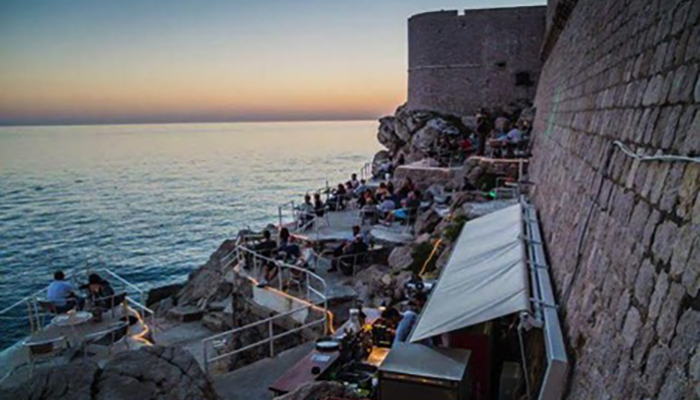 We have a range of Croatia two centre holidays which are ideal for combining a few days of exploring Dubrovnik’s magnificent Old Town followed by a few days relaxing on one of the nearby islands.